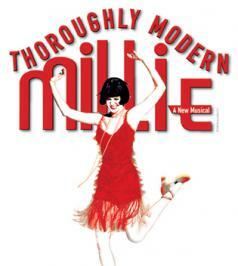 When Julie Andrews starred in Thoroughly Modern Millie, which opened in 1967, it received huge critical acclaim. But reprising the show 47 years later in a US high school has triggered a row over racial stereotyping at the academically successful school where nearly 17 per cent of pupils are Asian. The outrage was caused by the portrayal of Ching Ho and Bun Foo, two Chinese immigrants working in the laundry of a New York hotel. While such pastiche portrayals may have been acceptable in the late 1960s, they now cause as much offence in ethnically diverse American cities as “black face” minstrel shows recreating the ante-bellum South. Even those promoting a celebration of America’s multi-cultural kaleidoscope can find that they are walking on eggshells. Last month the organisers of a Black History Month dinner in Bangor, Maine caused huge offence by featuring fried chicken and watermelon. The organiser of the dinner, who was accused of perpetuating ugly stereotypes, was also in charge of diversity training. In Newton, which is about 11 miles from the centre of Boston, members of the local Chinese community reacted angrily to the school’s decision to stage the show. “We would never do anything anti-Jewish, or anti-African-American. Blackface is unthinkable, but yellowface is utterly fine,” said Mia Wenjen, a local resident. The play completed its four scheduled performances. However, Todd Young, chairman of the Newton North High School, apologised for any offence caused to the local community. “We do understand that we did not anticipate the magnitude of feelings that the play would elicit. “Even as educated artists and teachers we also learn and grow in situations like this. “Future selections will go through more scrutiny and we will look at issues with a keener eye.